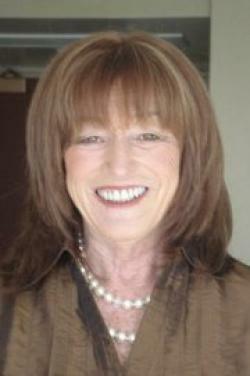 Cuttle, Mary Suzanne - Mary Suzanne (nee MacDougall) Cuttle passed away peacefully in her 67th year surrounded by family on Sunday, April 10, 2016. Suzanne fought a hard battle after being diagnosed with cancer at the same time as her youngest grandson Liam. Liam conquered his battle on January 8, 2016 at the age of five and Suzanne felt at peace. Suzanne is survived by her beloved husband of 42 years Jim, her five children: Alison (Lee), Andrew (Heather), Meagan, Colin and Marc; and four grandchildren Kayleigh, Ryan, Liam and Skylar. Suzanne is also survived by her mother Kathleen MacDougall, her siblings: Joseph, Robert (Carol Ann), Jane, Mary, Jack (Francis) Eileen, Anne, Allan (Aline), Elizabeth (Brian), Martha (Pat), Colin (Jenny) and several nieces, nephews, and great nieces and nephews. She was pre-deceased by her brother John Paul and her father Dr. Joseph A. MacDougall. Resting at Fitzpatrick&rsquo;s Funeral Home in Saint John, NB, visitation will be held on Friday, April 22, 2016 from 2-4 PM and 6-8 PM and a Mass of Christian Burial will be celebrated on Saturday, April 23, 2016 at St John the Baptist Church at 11:00 AM. In lieu of flowers, donations may be made in honour of Suzanne to Liam&rsquo;s Brigade for Neuroblastoma Research at the Hospital for Sick Children.